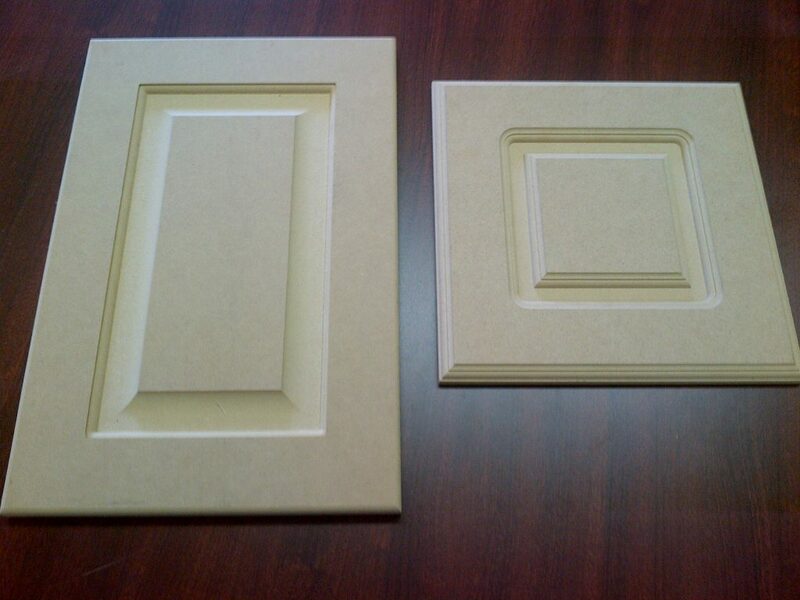 We have a good selection of MDF door profiles ready-to-go. Of course, if you need custom profiles, we can handle it with ease. We also offer a 2-piece MDF door which allows for design features and a look that cannot be accomplished with a 1-piece door – finally, the perfect MDF Shaker door! We know of no-one else in the area who offers this. Watch the video below – ask us for a sample! Ordering is easy, no confusing paper order sheets that have to be filled out by hand. 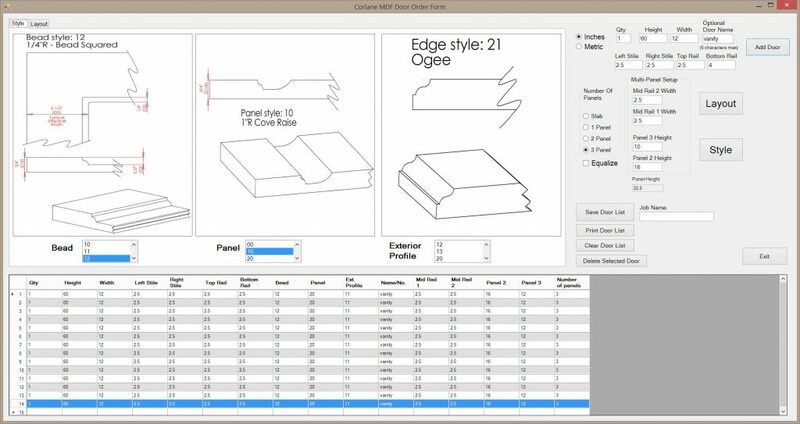 We have a custom made order form program for our MDF doors that allows you to choose your profile, bead, and panel styles. It even has a preview mode to make laying out those tricky 2 and 3 panel doors a breeze. Then, you simply save your door list (you can also print it for your records) and e-mail the saved file to us. We can then immediately provide you with an accurate and up-to-date price. We are able to manufacture your doors directly from this file, nearly eliminating any errors that are common when submitting hand-written lists that then must then be entered into our software. Ordering doors has never been this easy! Call or e-mail us to request a copy of the MDF Door Order Form Program, and we’ll send you a link to download it. It’s totally free. No ads, no registration, no spyware. 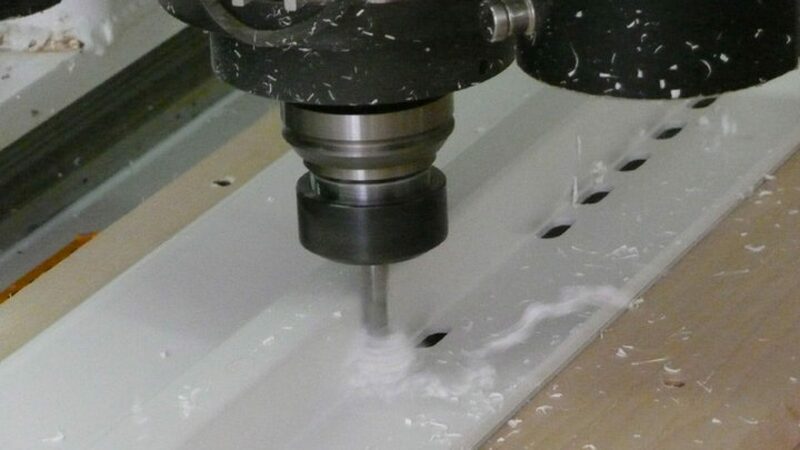 Just an easy way to order custom MDF doors from Corlane! 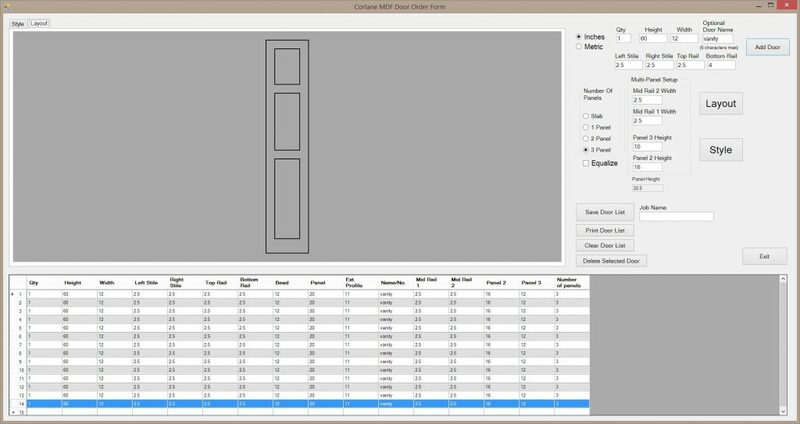 A screenshot from our MDF Door Order Form program showing the profile selection screen.